Colorado Commercial & Residential Painting, an award-winning painting company, celebrates its 34th Anniversary in 2017. Not only are the top ranked painters in Denver but they are also certified stain experts and a Lead-Safe Certified Firm. 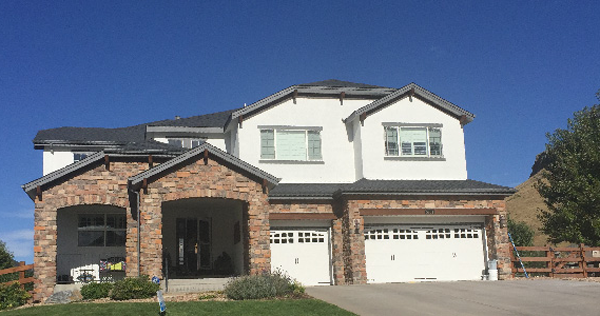 Colorado Commercial & Residential Painting (CCRP) is well respected for being a high quality commercial and residential painting company. The company carries comprehensive insurance and employs approximately 30-40 professionals with solid experience, to get the job done right the first time. We would be happy to provide you with any references upon request. If there are any questions regarding our company or our services, please contact any one of us in our office at 303-574-1740. We have put many policies and procedures in place to ensure that the customer is being served in a proper and efficient manner while maintaining our high quality standards. We have an outstanding team of individuals – both in the office and out in the field. Our standard operating procedures make certain that we “dot our i’s and cross our t’s” and that all our workmanship is performed to manufacturers written specifications. We have continued to maintain our 5-star rating, are A+ rated BBB Gold Star winners and Angie’s List Super Service Award winners for the last seven years in a row. This is no easy feat and we believe it’s due to our fair and reasonable pricing, constant job supervision, integrity and customer service/communication. We also believe that the owners and managers should be involved in every job, so they personally handle all quality control, and are onsite every day. We typically never ask for any money down for the average homeowner painting project — you don’t pay until you’re 100% satisfied. We are also certified Stain Experts and our company is an EPA lead paint certified firm to properly handle any lead-based paint renovation issues on your pre 1978 home. We warranty our work and in addition, provide free, regular, maintenance touch-up painting labor for your home for one full year. We would be glad to provide you with a complimentary, no obligation, estimate with painting testimonials and references on our work quality and value.